Firstly, happy forthcoming new year to you all! Volume 82 is the third German collection I have made, after the krautrock special Vol19 and the Deutsch special Vol33. It has a bit of everything, 60's psych, hard rock/blues, krautrock and even some metallic gallop at the end. There is such a depth of quality music from this period in Germany's history you could spend a life-time looking for it all! Apocalypse, from Kiel, started life as 'Die Anderen' (trans: The Others) in 1966 (who appear here later). 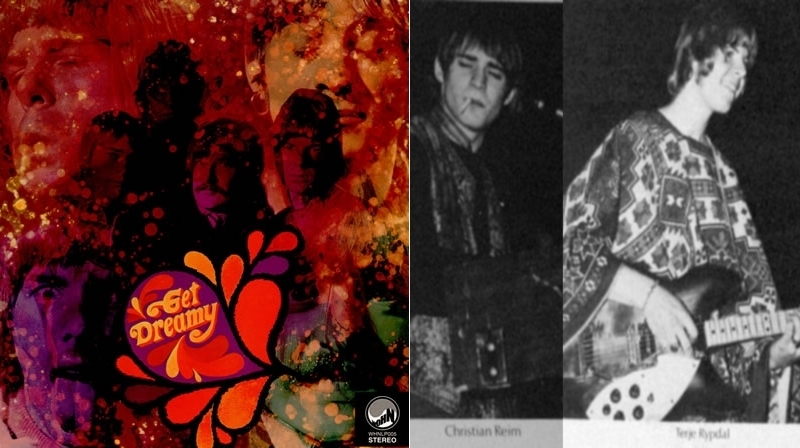 After becoming 'Apocalypse' in 1968, they recorded one album before splitting. One name connected to the band that most Germans will know is singer Jürgen Drews. He is now the self-appointed "King of Mallorca", a favourite holiday island of Germans, where he is a frequent entertainer. He was also in the 'Les Humphries Singers', a popular group started by an Englishman in Germany that had many singers, including John Lawton of later Uriah Heep and Lucifer's Friend fame, who will be mentioned later here. Apparently the Apocalypse album is an early production job of Giorgio Moroder, which does not surprise after hearing the quality and atmosphere of it. Thanks to 'albgardis' and his amusing review at RYM for this information. 'Life Is Your Profession' has an epic, rousing intro and ends up in some great progressive psych. Munich's Subject ESQ. made one album in 1972. It's a complete smörgåsbord of heavy, jazz, and Canterbury-scene flavoured prog and 'Alone' is the go-for-broke track into which they crammed as much as they could, it's totally addictive and totally great! What you get is a Deep Purple-hammond riff, in between a bunch of insane flute, harmonica, saxophone, acoustic and wood-wind segues, topped off with lyrics about a 'little bee'....Only in Germany. If you want to hear more, they morphed into 'Sahara' with some personnel changes and made two albums. Track 3 is a thick slice of deeply lysergic psych from a mystery band apparently called 'The Uncertain Midnight'. 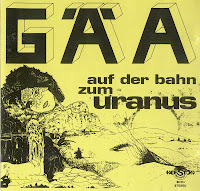 It first appeared in the great obscure Krautrock series of comps called 'Kraut! Demons! Kraut!' and all that's known is it's an acetate that was made in Ludwigsburg, 1969. GÄA, from Saarland, named after the Greek goddess of earth, were made up of Werner Frey (guitar, lead vocals), Helmut Heisel (bass), Günter Lackes (organ, piano, vocals), Stefan Dörr (drums, vocals), Werner Jungmann (congas, vocals) and Peter "Bello" Bell (bass, flute, vocals). They shared a couple of members with Blackbird who appeared on Vol70. 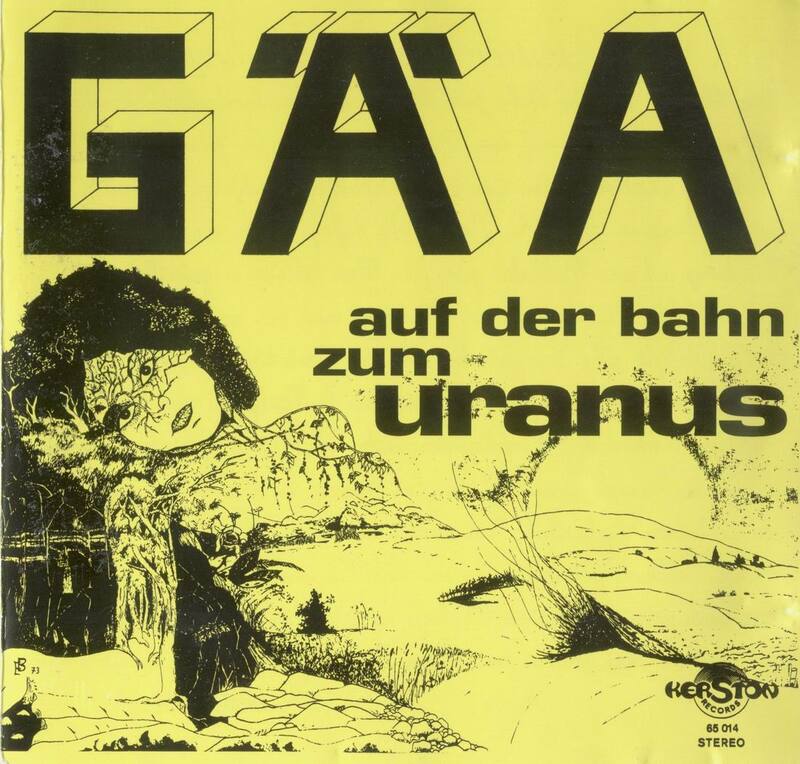 They only made one album, 1974's 'Auf der Bahn zum Uranus' (trans: On the train to Uranus) and it's a shame that's all there is as it's one of the best-kept secrets in krautrock. As you can tell from the track I used here 'GÄA', they perfected long, emotive, spacey jams with ethereal guitar and flute. A one of a kind album. 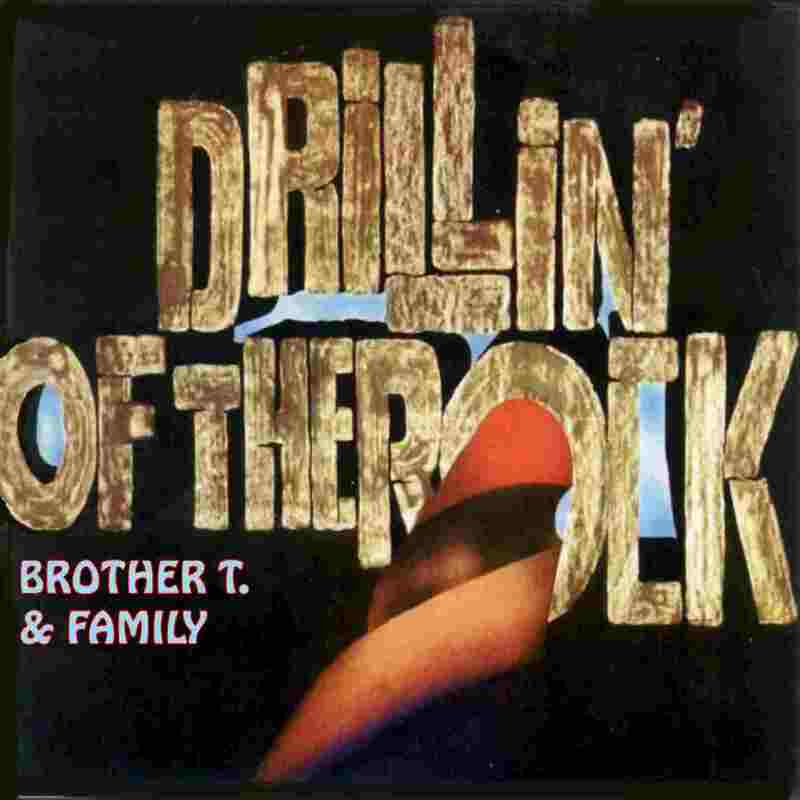 'Brother T. & Family' are one of many of Hamburg's Lucifer's Friend (Vol2) related bands that popped up, along with Asterix (Vol5), Electric Food (Vol13) and Pink Mice (not heard yet). Apparently BT&F were the original LF lineup minus John Lawton, and Peter Hesslein on guitar/vox. Completing them was Dieter Horns (bass, vocals), Peter Hecht (keyboards) and Joachin Reitenbach (drums). 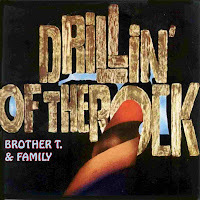 Brother T. was the bluesiest of the bunch, it would seem that these guys' multiple bands would put them into the 'exploitation' bracket, they seem to have been attempting almost every brand of rock there was around that time and Lucifer's Friend was the one that won through with the most notoriety. Track 6 takes us somewhere a little different, with Frob, from Rheda-Wiedenbrück. They are regarded as a very good jazz-fusion act which is not the kind of stuff I usually delve into but this track 'Spheres' caught me from their sole album. They take a break from the rest of the album and relax the frantic pace, exploring the outer-reaches with a spacey trip. Schrecksbach's The Petards are a recent find for me and one of those acts that i'm surprised I have not already frequently encountered in various places, as they had a few solid releases and some really great tunes. 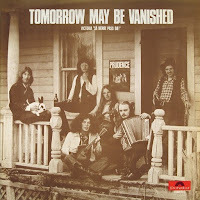 They started in the late sixties as a fairly typical freak beat/psych band but by the third album had tightened up into a frequently hard-rocking act with the psych edge remaining, they also kept a certain progressive pop side to them, all this resulted in albums that can't really be pigeon-holed easily. What ever you like, you'll find plenty worth hearing, especially on the two later albums, 'Hitshock' (1969) and 'Pet Arts' (1971). One thing I have noted, listening to them all, is the main singer's improving ability to sing with an English accent, which is almost perfect by the time they recorded 'Flame Missing Light' included here. On this long, expressive and tumultuously doomy track from the 'Pet Arts' LP they really seem to have started developing their own sound. It's a shame that they stopped after this, though they did reappear in 1981 with an album called 'Burning Rainbows' which I have not heard yet. 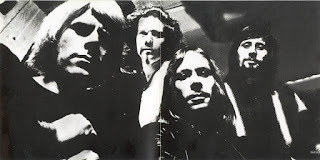 'Die Anderen' were mentioned here earlier, as the band that became Apocalypse. 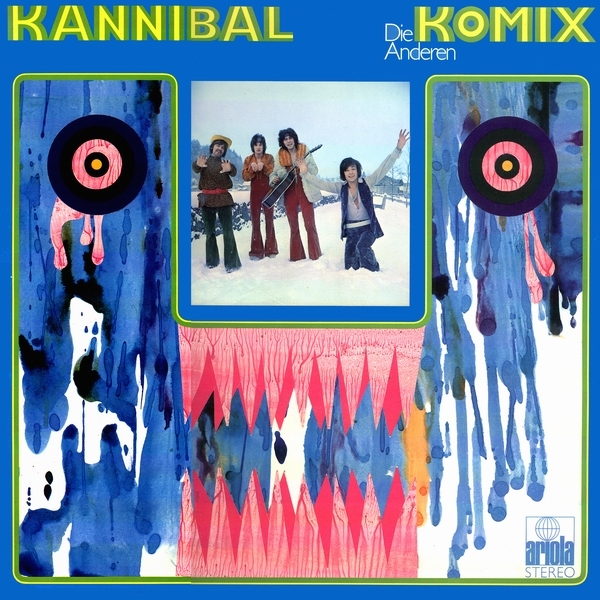 This track is taken from 1968's 'Kannibal Komix' album. 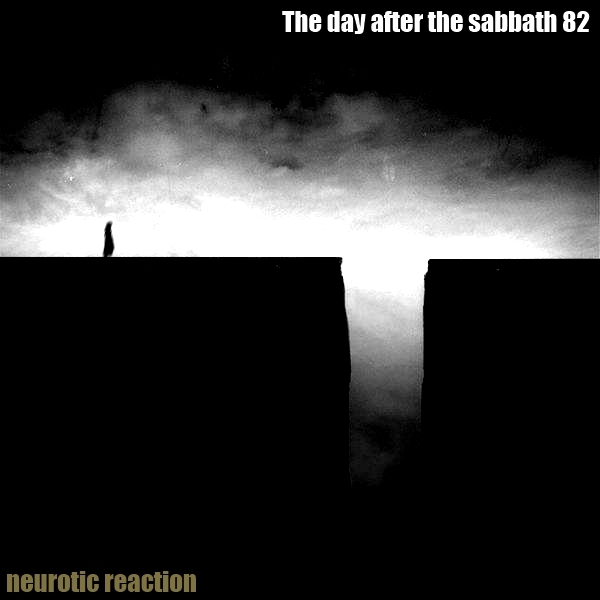 Included here as a bit of fun, they were a strange mix of orchestrated pop with silly vocals and a touch of heavy psych, mostly evident on this comp's title track, 'Neurotic Reaction'. 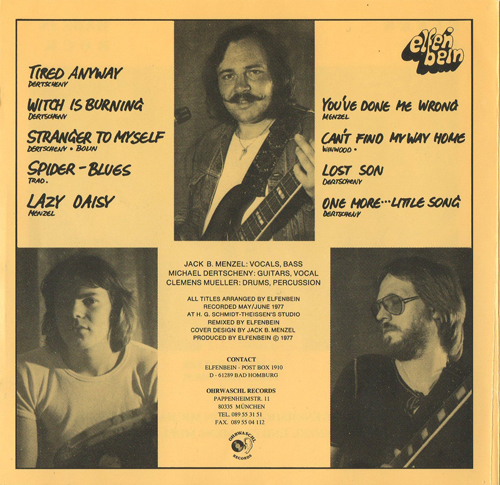 The album was issued in the US with the band name incorrectly printed as the album title. Later, the album was chosen by the US filmmaker George Moorse as soundtrack for his film “The House In White”. Mannheim's 'Nine Days Wonder' have a few connections to bands I have already used. It is actually the latter name of Maternal Joy, who's excellent, tooth-rattlingly groovy b-side 'Fat' was used on the extra-heavy Vol70. They also included saxofonist/keyboardist Freddie Münster, who played on one of my all-time fave records, Night Sun's 'Mournin' (1972), an album of such mind-blowing heaviosity that, if you have not heard it yet, I recommend you stop reading this blog right now and go listen. They started in 1966, but by the time of their later albums, N.D.W. were leaving the sixties/early seventies far behind with their own unique sound. By then they had adopted elements of Bowie and Roxy Music's glam, and a certain amount of jarring, almost proto-punk attitude. Equally, they could drift off into space with tracks like Moment. No individual track from 1975's 'Only The Dancers' can really define them, from which I have taken 'Frustration', so I recommend listening to the whole thing. There is a great Nine Days Wonder interview here. There is not a lot to say about Elfenbein from Bad Homburg, Hesse. The members are listed as Jack B. Menzel (vocals, bass), Michael Dertscheny (guitar, vocals) and Clemens Müller (drums, percussion) and they made one album in 1977 with a hard rock/metallic sound, as was emerging more and more in the latter part of the 70's. They wrote 9 solid straight-ahead rockers for 'Made In Rock' which I think will be of interest to those of you who are into the emerging NWOBHM-influenced sound. 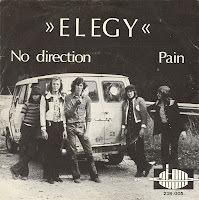 Elegy's track is the second & final song here that was brought to light by the 'Kraut! Demons! Kraut!' series. It's an awesome track with an instantly memorable riff and great flute. Here is what the liner notes have to say: "Elegy left England in order to find fame and fortune on the continent. 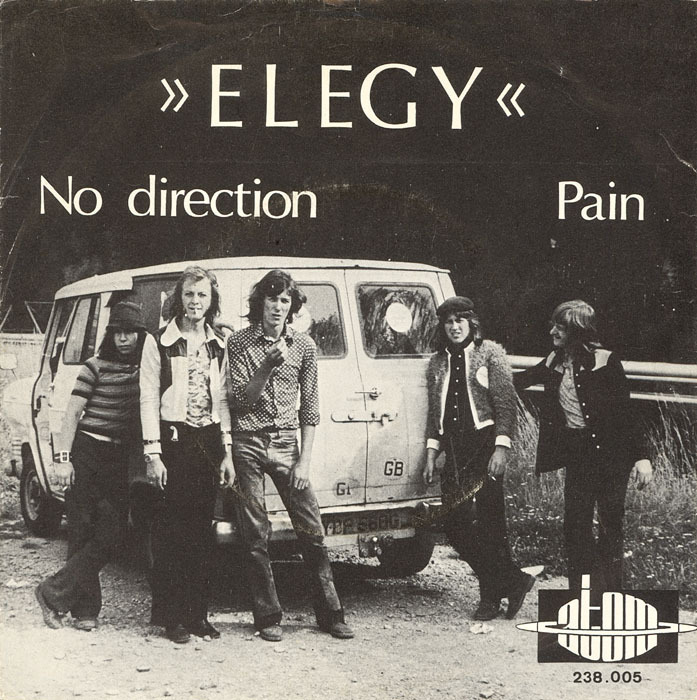 They toured extensively around Switzerland, Bavaria and Austria, where they recorded this single for the Atom label in 1969. After this amazing mixture of Brit Prog and KRAUT the band vanished without trace. Another great UK group that never recorded at home." This story reminds a little of Universe who I used back on Vol40. And so nearing the end, we have Schloss. I have been unable to find a lot of info on this one-album band. One interesting thing is that they featured a drummer previously of My Solid Ground, who show up on Vol3, Vol16 and Vol42 - as you can see I like them rather a lot. These guys sound nothing like M.S.G. however, they are Germany's answer to Status Quo. So, what you get is no-nonsense, heads-down mid-paced blusey hard rock, with a hint of southern rock here and there. An interesting example of a style that was not common over there at the time. The band comprised Klaus Luley (guitar, vocals), Roger Käschner (bass) and Willi Waid (drums). 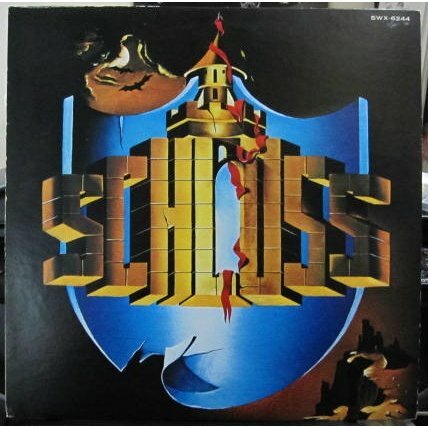 The name of the album 'Weltschmerz' translates to 'world-weariness', but there seems to be some confusion about what the intended album name actually is, I have also read that the album was self-titled as 'Schloss', let me know if you can clarify this! According to RobotsForRonnie, "...the band's self-titled debut was released in the US but went virtually unnoticed. The band fizzled by the next year, with Luley later reappearing in Tokyo, Craaft and Douglas. The post-split activities of Kaeschner and Waid are unknown." We finish up on another band veering into metal, like Elfenbein. 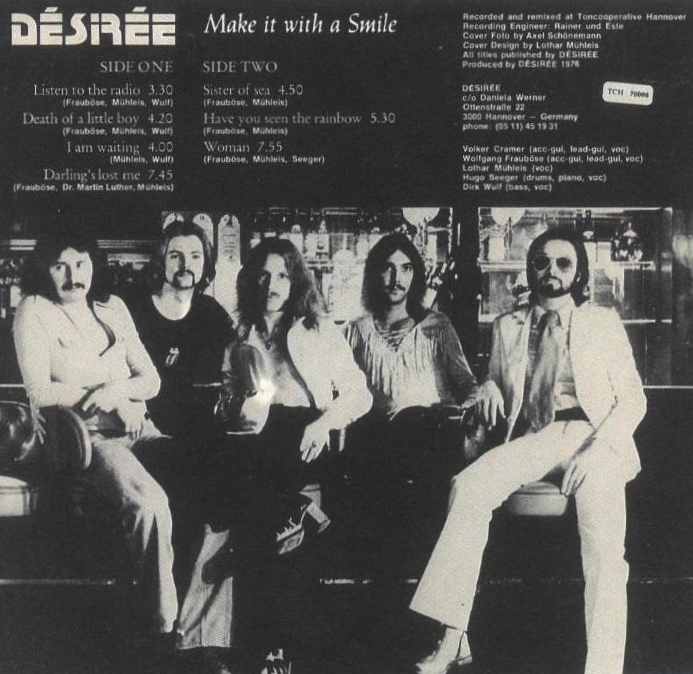 Hanover's Désirée played a remarkably ahead of it's time chugging brand of early metal, much more in line with the UK's NWOBHM bands like Judas Priest or Thin Lizzy than much else I have heard from Germany at the time. The singing, although in English, is an unfortunate weak point as it's quite high pitched and indistinct, and this is not helped by the basic production. But persevere and you will find some truly excellent galloping metal and guitar interplay. "Woman" demonstrates this perfectly, the more I listen, the more I can overcome any short-falls. They really remind me of an enigmatic Luxembourg band called Cold Feet that I have used a couple of times before, back on Vol22 and Vol67. 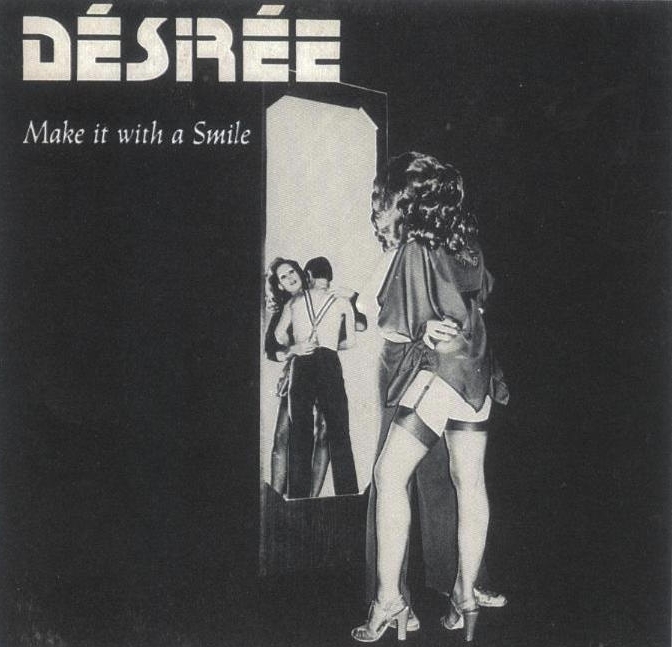 The similarity does not stop at the sound, but also reaches to the album art which also shows a scantily-clad 'lady of the night' type character in black and white. Not an unusual theme for a band in the seventies I know, but still eerily similar taking into account the year, country's proximity and sound. I have recently spoken to the drummer of Désirée, there isn't. 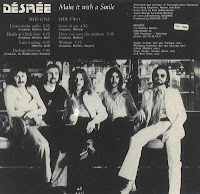 Apparently most of the original Désirée lineup are back together now in a new band called 'New Fancy'. I think this recording really catches their psychedelic doom sound perfectly, the guitar/bass tones are gorgeous, the psychedelic interludes are mind-frying and the riffs are infectious. 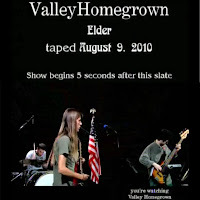 Thanks to Elder (pages: facebook, bandcamp, LastFM) and thanks again to everyone who listens here! Have a rockin' holiday and look after yourselves. Cheers, Rich. Here is Norway, the 3rd in my Nordic quadrilogy, after Denmark: Vol72 and Sweden: Vol75. [EDIT: see also Finland 88, Iceland 124 and General 28] Norway was not a hard country to research. Compared even to Finland, there seem to have been few bands in the 60s and 70s, and almost all of what there was is well-documented and cross-referenced. 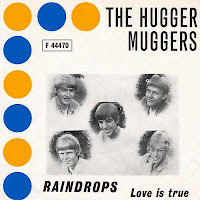 There were a few surprises though, Rain and The Hugger Muggers are two extra-obscure names that I could have easily missed, and St. Helena was a late entry as they never had an official release. A special mention and thanks goes to Mick Mullin, who kindly responded to my request for help in restoring the St. Helena track. My thanks goes to all the other people who also offered, Mick's was the best-sounding to my ears. You can visit his studio services here. I must also thank the people behind the awesome resource at Rockipedia.no for it's extensive band bio's, I think they have everything Norge covered. The cover image is the Fantoft Stave Church in Bergen, which I visited in 2010. So what did I learn about Norway? Although the pool was small, almost every band I found had a worthy track to contribute, the standard was very high. Norway's population is very small at around 5 million. That is slightly smaller than Finland, and half that of Sweden, where I found a lot more material to use for Vol75. Two of the most important 'seed' bands were Oslo's The Vanguards and The Beatniks, they were the springboard for many of the names that appear here. While not really TDATS material per se, I did find a few Vanguards covers where they added a nice heavier vibe to the original, and have included one here; I never would have believed I'd be using a Cliff Richard song down the line. 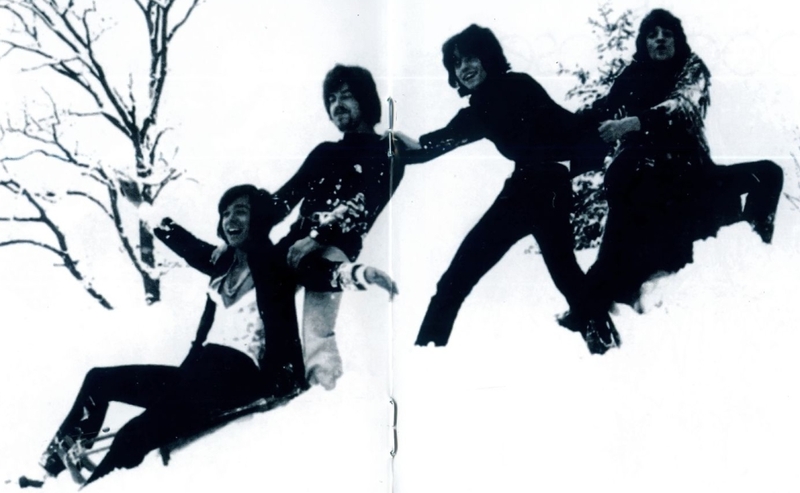 Tromsø's The Pussycats deserve a mention too, recording three albums and many singles during the 60s. So to track 1. Aunt Mary were from Fredrikstad. 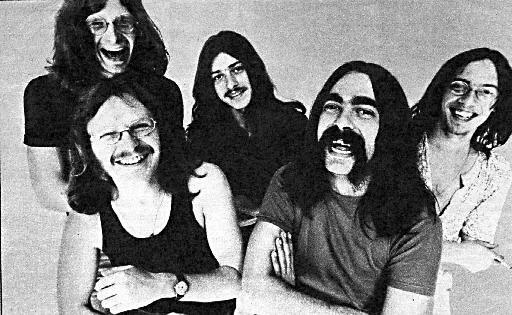 They started in 1969 with the original name of 'Progress' and included Jan Groth (vocals, organ), Bjørn Christiansen (guitar, vocals), Svein Gundersen (bass, vocals), Per Ivar Fure (flute, harmonica, saxophone) and Ivan Lauritzen (drums). 'Stop Your Wishful Thinking' is the b-side from their 1971 single 'Jimi, Janis & Brian' which was actually an adaptation of Marvin Gayes hit "Abraham, Martin And John". Producer Johnny Reimar suggested that the band turn it into a tribute to departed heroes Jimi Hendrix, Janis Joplin and Brian Jones. The single was the band's breakthrough, with particularly strong sales in France and Denmark. The BBC banned it because the three people that were sung about were all strongly associated with drugs. 'Stop Your Wishful Thinking' is also a bonus track on the Progressive Line label's 2002 re-master of the band's 1972 Album, 'Loaded'. 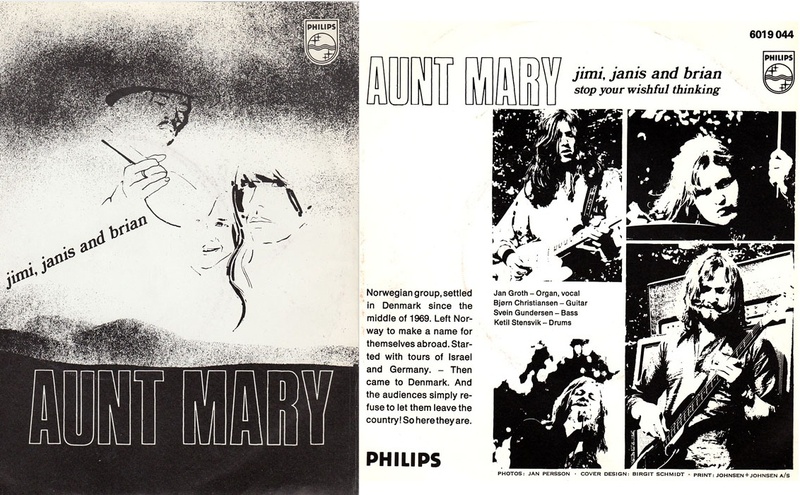 Aunt Mary's third album 'Janus' is probably considered as their finest effort, by this time they had incorporated more elements of progressive rock, but it was their last at that time. 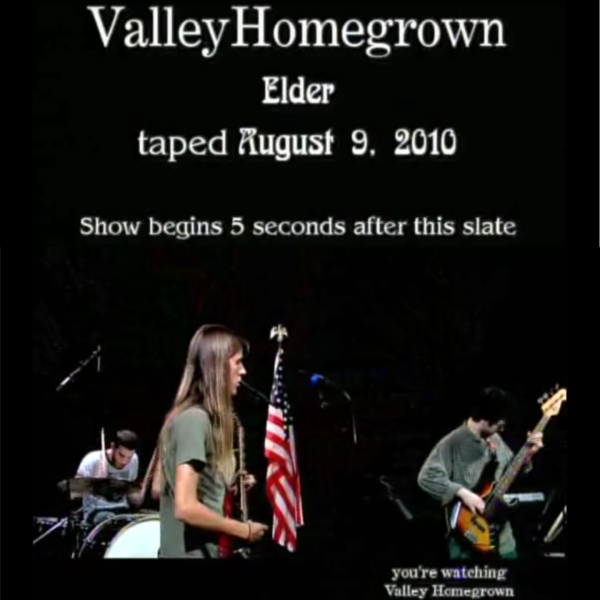 They have recorded and played occasionally since, and here's a clip of them playing in 2008. 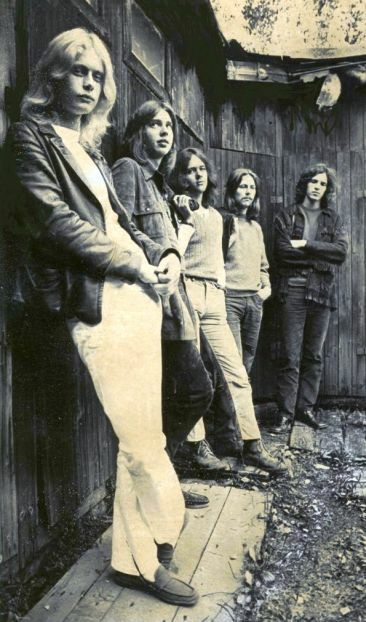 Oslo's Ruphus formed in 1970, by 1972 their lineup had solidified to Asle Nilsen (flute, bass), Hans Petter Danielsen (guitar), Kjell Larsen (guitar), Håkon Graf (keyboards), Gudny Aspaas (vocals), Rune Sundby (vocals) and Thor Bendiksen (Drums). 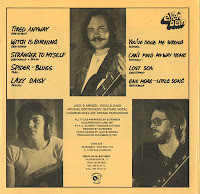 With a full complement of instrumentation, two guitarists and two singers (male and female), the debut LP had a great sound; immediate, heavy and progressive without the self indulgence commonly associated with prog rock. 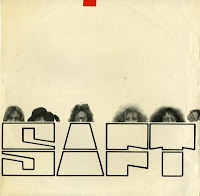 Later the band changed a few members, briefly including Freddy Dahl of Junipher Greene (coming up here later) and moved out of TDATS territory into slick Jazz rock, but they remained very well-regarded and were successful in Europe, especially Germany. 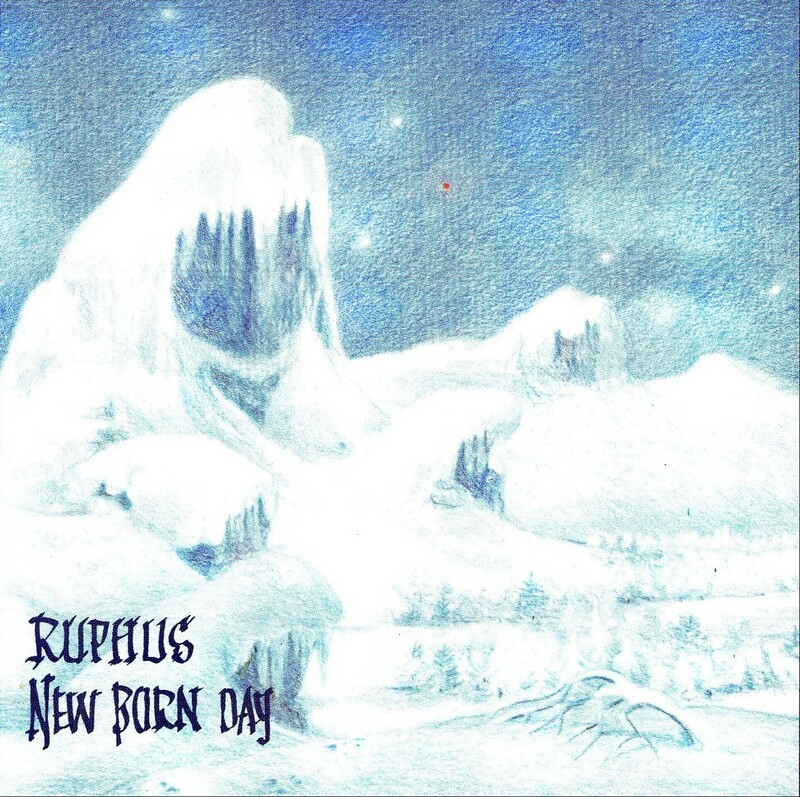 'Coloured Dreams' is from this first (and best) album 'New Born Day', one of the most consistently good albums here and highly recommended. The riff is instantly memorable, it strikes the perfect balance between prog and hard rock and has a joyful, celebratory feel too. I especially dig the charismatic vocals of Gudny Aspaas, the only female singer on this volume. 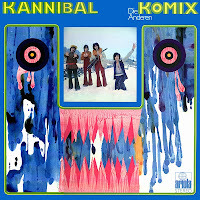 Track three is a great example of some Norge Freakbeat. 'The Hugger Muggers' introduce some prominent names; Terje Rypdal (also of The Dream, included later), and percussionist Kjell Asperud, who was later in 'The New Beatniks' & Titanic (featuring later). After this early forray, Terje became a well-regarded Jazz guitarist in the Norwegian jazz community, and recorded many solo records. Classical studies at Oslo University also lead to work on orchestral productions like the Norwegian production of musical Hair, and appearances on movie scores including Michael Mann's Heat. Terje's concise and excellent little solo in 'Come On Up' is what really makes this track! Oslo's Bazar is one of the few bands here to sing in their native tongue. 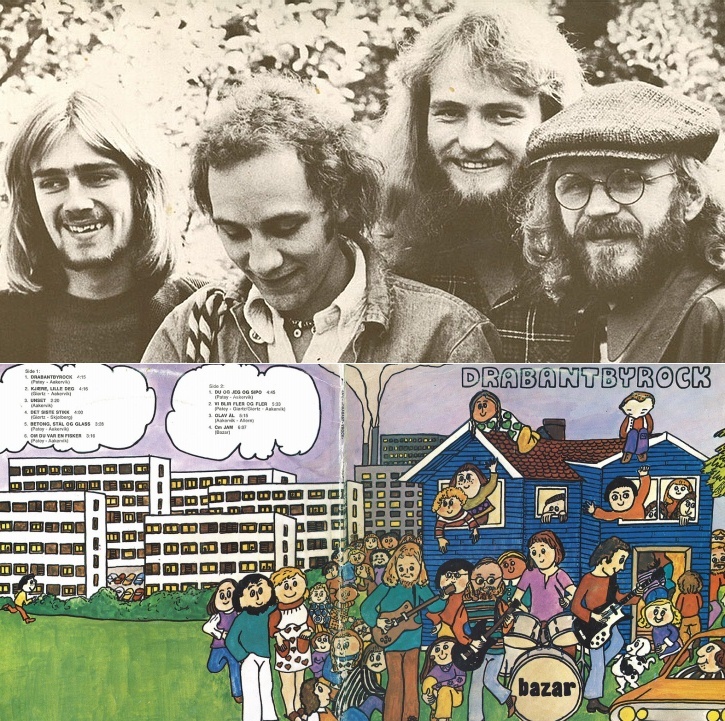 By the time of their second album, 1974's Drabantbyrock [trans: 'Suburbia Rock'] their members were Rolf Aakervik (vocals, guitar), Per Vestaby (bass, harmonica), Ole Henrik Giørtz (drums) and Bent Patey (guitar, piano, flute, vocals). With Rolf 's lyrical skills, the band employed a politically radical approach, bringing to light their views on such subjects as social inequities in society, Norway's fight against the EEC, and the U.S. war in Vietnam. 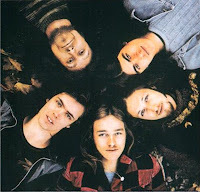 After Bazar's demise, Per Vestaby took control, becoming a big name while taking the band through later incarnations; 'Freddy', 'Can Can' and 'Mercury Motors'. Willy Bendiksen is a name that joins three bands on this compilation. 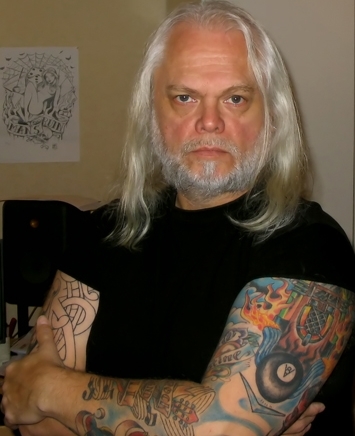 In his early career he played drums in St. Helena (based in Hammerfest), Høst (Østfold) and Flax (Oslo), among other bands. This makes him something of Norwegian heavy prog star. All these three bands were fine examples of a unique Norwegian take on progressive rock, with excellent musicianship and some powerful metallic playing at times. I have used a couple of Høst tracks before, back on Vol4 and Vol28, and Flax appeared back on Vol13 And Vol30. They had a similar sound, and shared more members than just Willy. The sound was inventive and unconventional, combining razor-sharp riffing, sudden time changes, with a fair amount of drama and atmospheric changes in the vocals and varied song compositions. 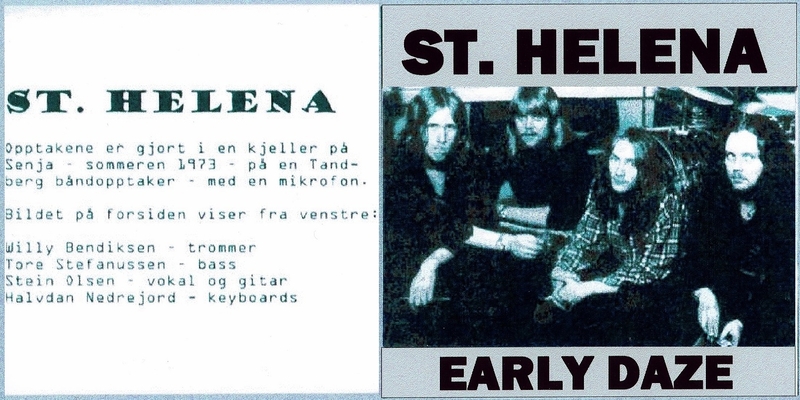 The St. Helena track on here is taken from a 1973 demo that also features future Høst guitarist Fezza Ellingsen. 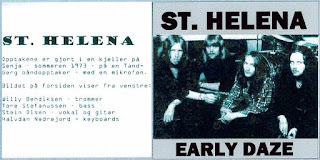 There was also a second demo from 1974 called 'Hello Friend', both St. Helena's recordings are amateurishly-recorded affairs, especially the oldest; what sounds like a rehearsal tape that has been entitled 'Early Daze' for it's bootleg release. The track included here, 'Salvase' is an edit of the longest of it's three songs. 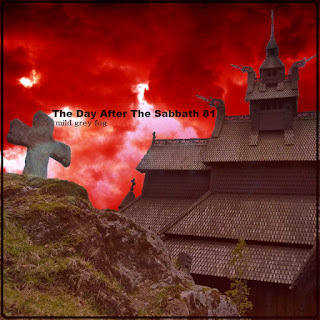 The sound quality is endearingly primitive but as such lets you imagine being in the room with them, and still makes it clear how uniquely heavy they were for a Norwegian band this early on, with it's 'Children Of The Grave' gallop and thunderous drums. 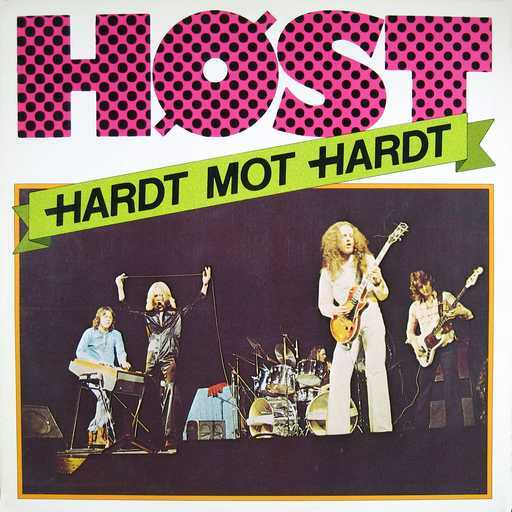 It's very interesting to see the rapid progression in complexity they moved into as Høst, who's track here 'Gorobin' is from Høst's second album, 1976's 'Hardt mot Hardt'. It has a nice pastoral acoustic intro, which morphs into a lilting piano refrain before the heavy riffing charges in like a bulldozer through the meadow. Freddy Lindquist enters to tie up a bit more Norge rock history. 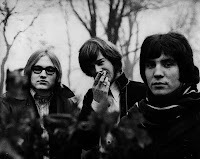 He was involved as guitarist in The Vanguards and The Beatniks, the two seminal Norwegian bands of the 1960s, for a short time he was in the Vanguards at the same time as the previously mentioned Terje Rypdal. He was to move on to Jumbo (coming up), and then to record one solo album in 1970 called 'Menu', from which track 7 is taken; the groove-laden 'Sundae Sellers'. I found a great Interview with Freddie here. In 1969 he formed Freddy Lindquists Orchestra, a Chicago/BS&T-like big band rock ensemble who played live with the excellent singer Gudny Aspaas, before she was in Ruphus. As a comparison, the next track I chose is The Vanguard's 'Move It! ', and it's the oldest tune here (1966 - Cliff Richard cover). I found it on what seems to be a fan-made career anthology, here. They certainly heavy it up a bit compared to the original. 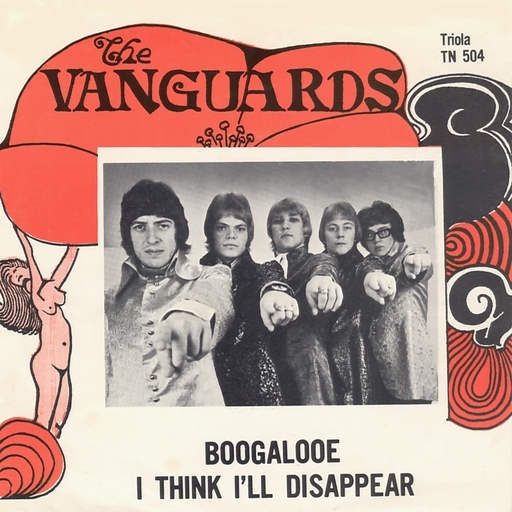 Like a lot of rock bands in the 60's, The Vanguards and The Beatniks began making their names, and livelihoods, by mainly playing covers of the popular bands from America and the UK and Cliff Richard's backing band The Shadows were a particularly strong influence on both of them to begin. 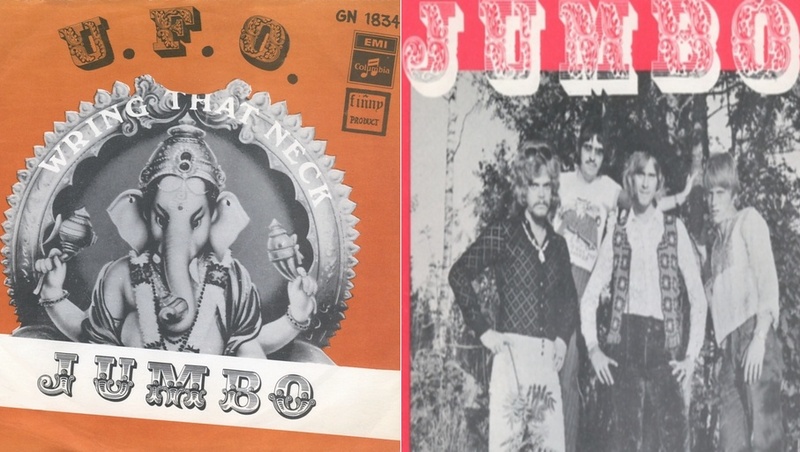 The next track is another Freddy Lindquist band, Jumbo. They only made two singles in their short tenure and this 45 single 'U.F.O.' shows them veering into hard rock, especially towards it's end where the guitar tantalisingly speeds up, as though a thrashy riff is about to appear. Work on an album was started by the band, but they split up soon after, eventually it was completed by duo Svein Finjarn (Jumbo guitar, vocals) and Leif Jensen (Jumbo drums) under the band name Finjarn-Jensen. 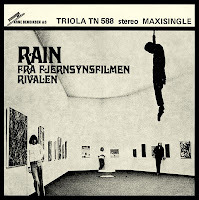 On to track 11, I found the Rain track on a compilation called "Maiden Voyage: A Wide Selection Of Grooves From Norway '66 - '76", mostly in a big-band film score style, and this track was indeed used in the score to a movie, called 'Rivalen'. 'Whine and Wail' comes in smoothly, tabla drums and shimmering groove worthy of a modern stoner band like Sungrazer. It builds up as new instruments subtly introduce themselves; hints of brass edge their way in and the intensity builds in a wonderful way to the money-shot wah guitar solo. An absolutely fantastic track and one of my favourites here. The excellent Shadoks label has recently issued a Rain collection and here is what they have to say about it: "RAIN, Norway's most well kept secret has been betrayed and solved! This great band has only released a very rare 45 EP as a soundtrack for the Norwegian movie RIVALEN. 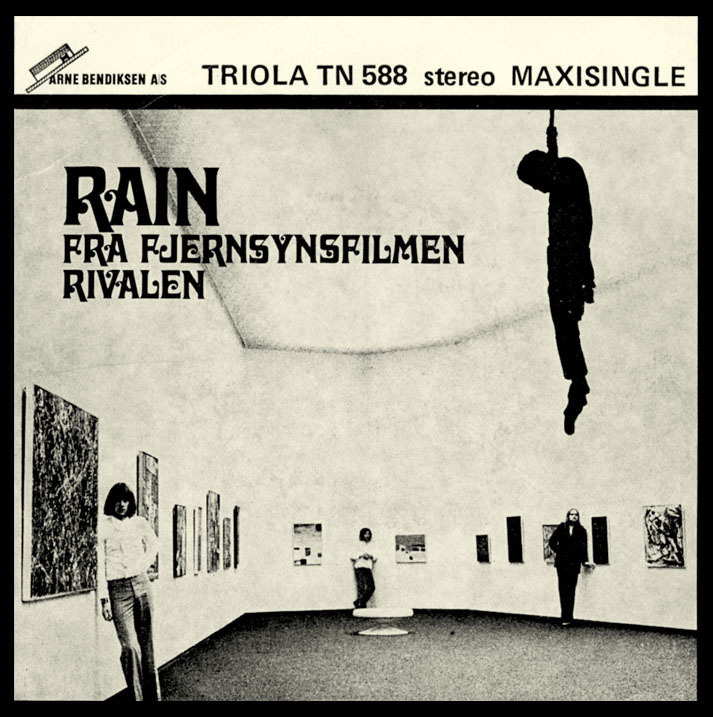 Very much like Frank Zappa and The Mothers, RAIN's complex compositions are based on the skills of modern classic composers such as Varèse and Strawinsky. As a strong influence they've mentioned Vanilla Fudge. 10 great tracks with horns and orchestra arrangement, with great fuzz guitar, hammond organ and amazing vocals. A Norwegian rock band who had the urge to exceed limits, both musically and technically. Rain was Carl Jørgen Kiønig - drums / Knut Heljar Hagen - organ, piano, vocals, bass / Åsmund Feidje - guitar, violin, vocals, bass. 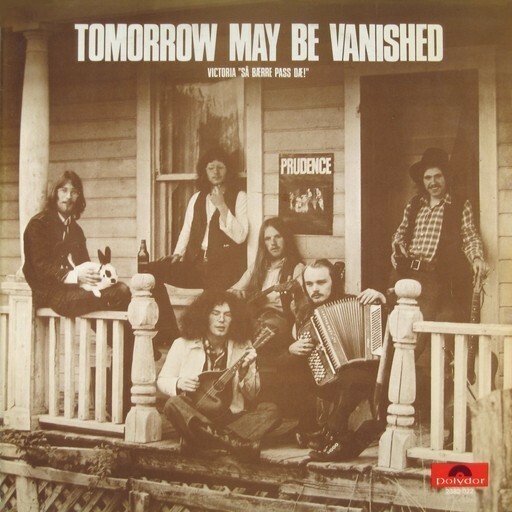 This album was recorded in 1969/70, beside 7-own compositions they play mind blowing versions of A Day in the life, Strawberry Fields Forever and Isolation. Their very complex and difficult arrangements required a lot of practice to turn their concerts into a total experience with a spectacular psychedelic light-show and experimented with 'surround' sound." To my delight I also found a recent interview with Rain member Åsmund Feidje here at the enlightening psychedelicbaby blog. Having just discovered the Rain issue on the Shadoks site while I sit here writing this, low and behold I see a release just below Rain of another band I was planning on using. Here is The Dream's description from the same place: "...recorded in 1967, it was the LP with legendary guitarist Terje Rypdal after the 2 albums he made with The Vanguards. A year later Terje recorded his first solo album also for Polydor. The album Get Dreamy has great original songs full of wild fuzz guitar, swirling hammond organ, sound effects and strong vocals. 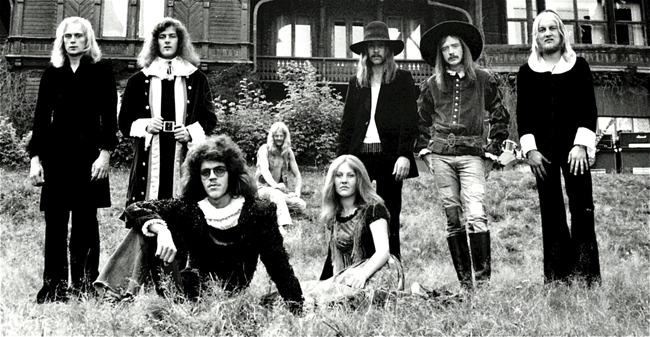 The musicals influences could be Cream and Jimi Hendrix with the lyrical touch of Procol Harum..."
Junipher Greene was probably Norway's first progressive rock band, their name became more widely known after praise from critics for a 1970 performance in support of Deep Purple, where it is said they played the heavy masters off the stage. 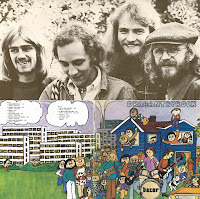 Their debut record, 1971's 'Friendship', was Norway's first ever double-LP, and is considered a classic. Rightly so, as it's light-years ahead of anything else in the country at the time, Importantly, Junipher Green would supply a member to the newly-formed Ruphus, Freddy Dahl. 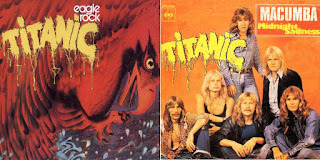 They also contributed Keyboardist Helge Grøslie to Titanic, the band mentioned earlier who developed from The Beatniks. 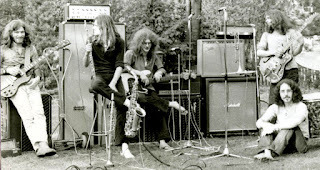 They made another album in 1973 called Communication after being stripped down to a three-piece, which was considered a step-down as they moved away from the inventive hard-edged prog to a more commercial direction. 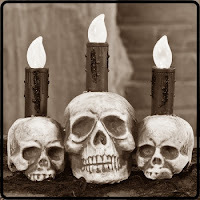 'A Spectre Is Haunting The Peninsula' is a striking track with railroading hammond in the vain of Uriah Heep and some speedy proto-metallic guitar riffing. 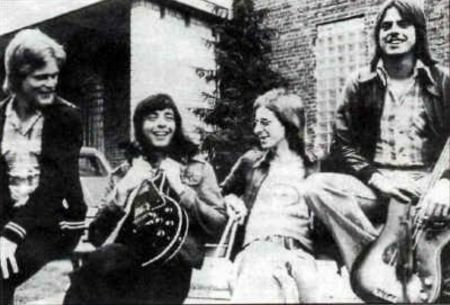 Prudence, from Namsos, released their first single in 1970, it was a cover of Deep Purple's 'Into The Fire'. The NRK (Norsk RiksKringkasting AS - Norwegian Broadcasting Corporation) banned the single, due to the b-side 'Come along to Copenhagen' which was about going to the Danish town to have fun with marijuana and LSD. 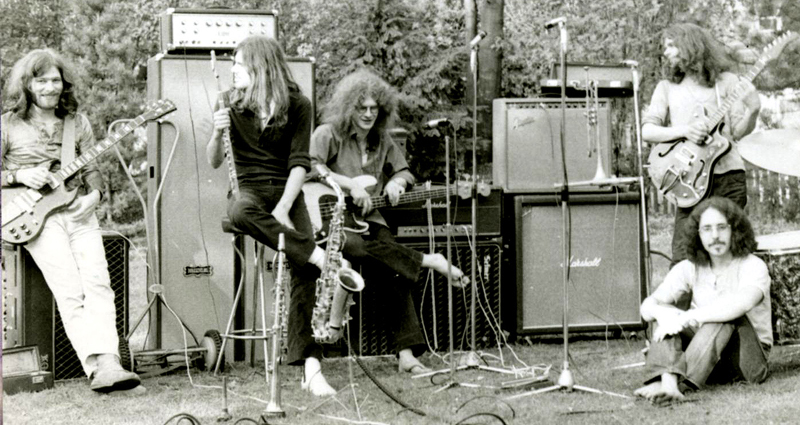 As they developed their own sound, they helped in creating the term 'trønderrock' which was used to describe their heavy prog rock infused with folk instruments like mandolin, flute and accordion. According to an article at rockipedia.no, the band's innovative skills were widely acknowledged, and although they gained some success in Denmark, playing Roskilde Festival in 1973, they never quite achieved as much success as they could have done and were dogged by bad luck with shows, internal strife, money and labels. 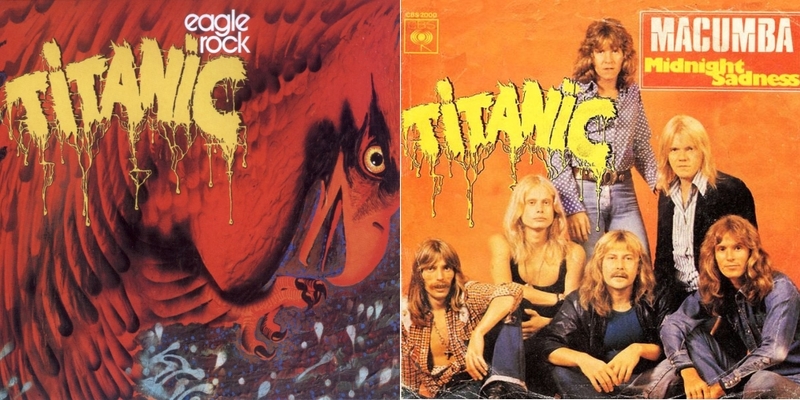 In 1974 they missed an important slot at Norway's Ragnarock festival when Titanic suffered equipment problems and caused delays. The misfortune continued after their 3rd album when bassist Kjell Ove Riseth injured both hands and lost fingers in a saw-mill accident, ending his time in the band. They have played now and again since splitting in the mid-70s, and last year they were invited to play at the opening of Rock City, a civic center designed to promote and help rock music in Namsos, a town that is apparently very proud of it's musical heritage. 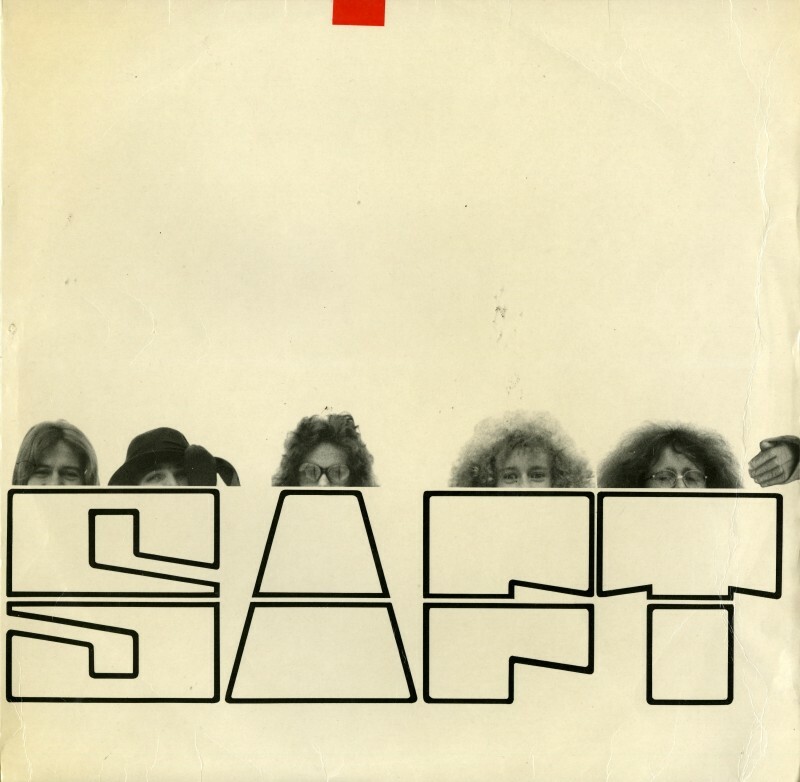 Saft was formed by Ove Thue (vox), Trygve Thue (guitar), Tom Harry Halvorsen (flute 1970-1972), Rolf Skogstrand (bass 1970-1972) and Magne Lunde (drums 1970-1972). They were the core musicians who worked on the 1970-71 production of hippy musical Hair at the Den Nationale Scene theater in Bergen, an LP of which was released by Polydor in 1970. 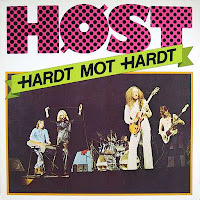 They came to fame after winning a radio show pole called 'Europatoppen', beating Slade, the UK's entrant, to 2nd place. They made three very different albums but their 1971 self-titled debut is of most interest to TDATS and it's track here is called 'Min'. A funny little song that is definitely not aiming for any philosophical achievements. The final track is from Titanic, who I used way back on Vol10. They were Norway's most famous rock export, and as mentioned, developed from the The Beatniks. Following the stereo-typical career path of bands that started in the 60s, they went from rock'n'roll, to psych, to hard rock as Titanic. Having listened to their back-catalogue, i'd say they were a patchy band who were capable of absolutely killer efforts like 'Dying Sun' and 'Something On My Mind', but their albums were a little too diluted with attempts at main-stream acceptance. It's alleged that for similar reasons, they intentionally sought out an English singer, in the form of the very good Roy Robinson. They believed this would help ensure international success more so than a lead singer's Norwegian accent. I have used 'One Night In Eagle Rock' here, it is taken from their 3rd album 'Eagle Rock' which was most recently re-issued by Repertoire Records in 2000. It's a great, dramatic track in the mold of a Deep Purple/Uriah Heep hammond-powered epic.